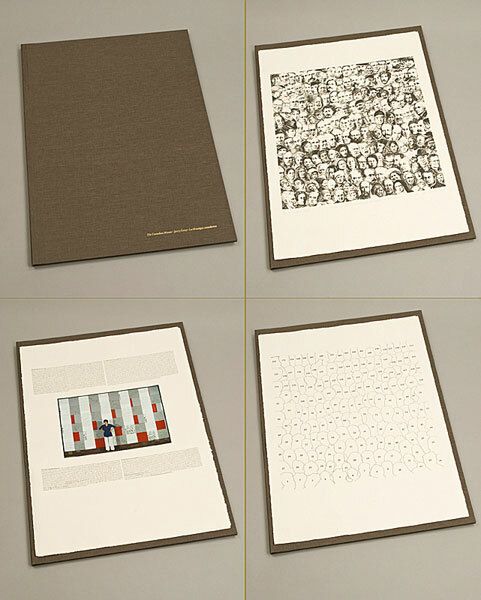 A limited edition portfolio conceived in conjunction with The Great Canadian Equalizer Mural, 1979. 130 signed, numbered copies in a linen bound case, 30 of which are sponsors' editions. 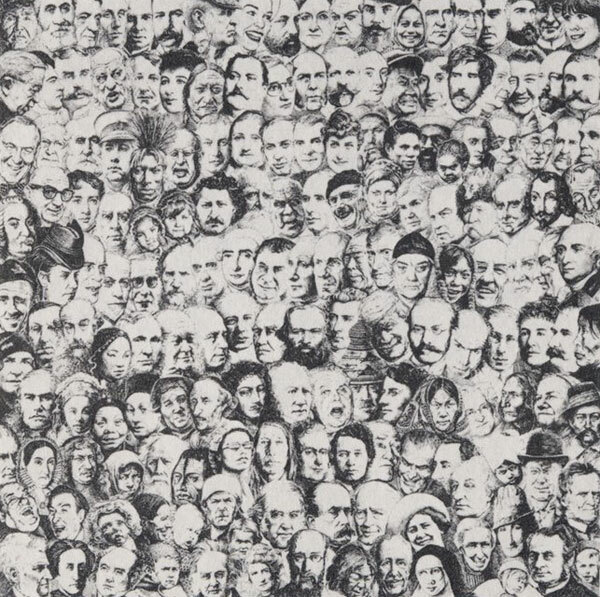 The folio contains The Canadian Mosaic (with 172 portraits) photo-engraved from the original drawing by Jerry Grey; a key; biographies of the 172 people; the artist's introduction; and a coloured photograph of the mural � a total of 6 pages printed on H 75cm x W 56cm (29 ½" x 22") Johannot 240 gram watercolour paper. © Copyright Jerry Grey, All rights reserved. Site design and hosting by Artengine.